Gorgeous Cape Cod style home with a bold creek and 2.92 acres of land. 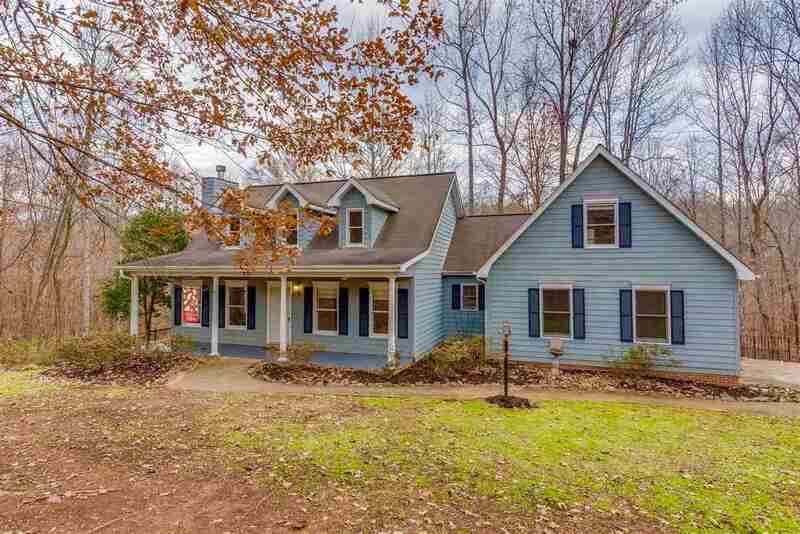 Located only 3 miles from downtown Rutherfordton in Wilkins Forest, one of the most desired subdivisions. Den dining room area has a spacious open floor plan with a beautiful rock fireplace. The main level has two master suites. Upstairs features a bedroom, full bath, and a bonus room that could be used for a study or recreation room. There is also a finished room over the garage. If you like outdoor living you will love the backyard with the family sized deck, view of the creek, and a pool. This home is move in ready with a fresh coat of paint and newly refinished hardwood floors. Private setting, yet close to shopping, medical offices and hospital. Put this home on your priority list to view, you will not be disappointed! Feature Remarks: Gorgeous Cape Cod Style Home With A Bold Creek And 2.92 Acres Of Land. Located Only 3 Miles From Downtown Rutherfordton In Wilkins Forest, One Of The Most Desired Subdivisions. Den Dining Room Area Has A Spacious Open Floor Plan With A Beautiful Rock Fireplace. The Main Level Has Two Master Suites. Upstairs Features A Bedroom, Full Bath, And A Bonus Room That Could Be Used For A Study Or Recreation Room. There Is Also A Finished Room Over The Garage. If You Like Outdoor Living You Will Love The Backyard With The Family Sized Deck, View Of The Creek, And A Pool. This Home Is Move In Ready With A Fresh Coat Of Paint And Newly Refinished Hardwood Floors. Private Setting, Yet Close To Shopping, Medical Offices And Hospital. Put This Home On Your Priority List To View, You Will Not Be Disappointed!